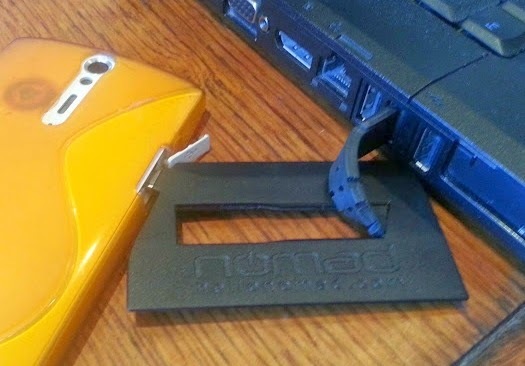 The Brick Castle: NOMAD ChargeKey and ChargeCard ~ The world's smallest USB cables reviewed. 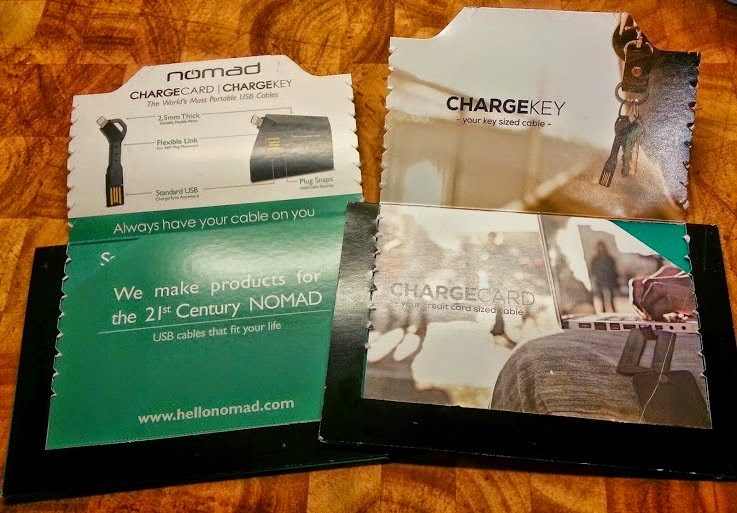 NOMAD ChargeKey and ChargeCard ~ The world's smallest USB cables reviewed. My teenagers lay claim to every USB cable that they find, I've lost a couple this month and I've even started keeping my latest one in my handbag so it doesn't vanish. 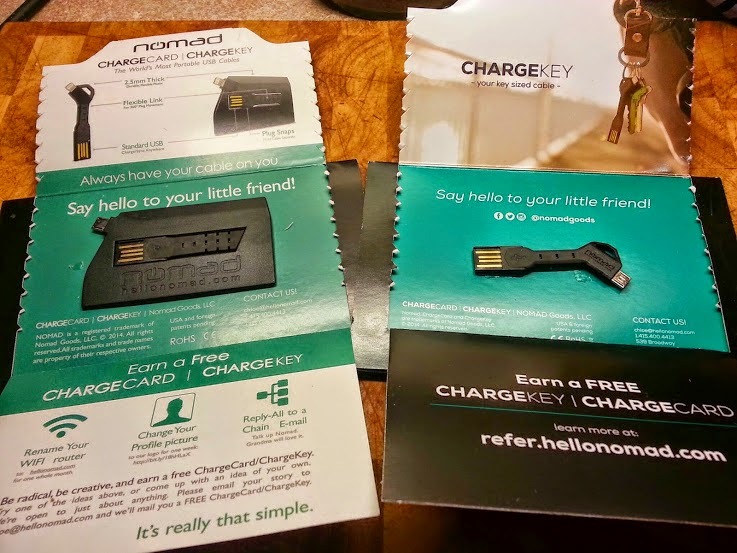 Something really small is ideal, so reviewing NOMAD's ChargeKey and ChargeCard is perfect for me. 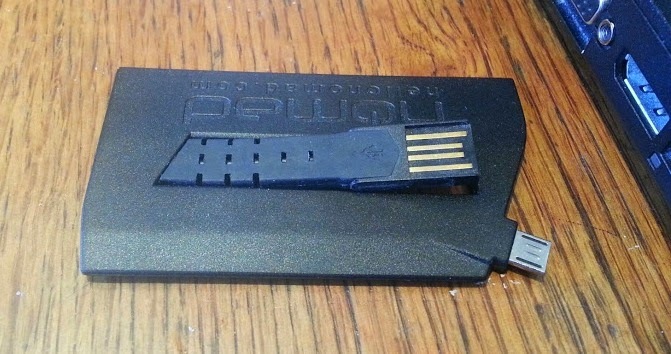 The ChargeKey and ChargeCard are shaped like a house key and a credit card respectively. They are the world's smallest, most portable USB cables and allow you to transfer data or charge your phone or other devices via a USB port. The packaging was as good as it's word. Minimalist and fuss-free, but really attractive actually. And inside, the tiny USB cables - virtually 'cableless cables'. Immediately I wondered if actually they'd be a bit too short and a bit of a pain, and also if they'd fit with my LifeProof case, which narrows the port. 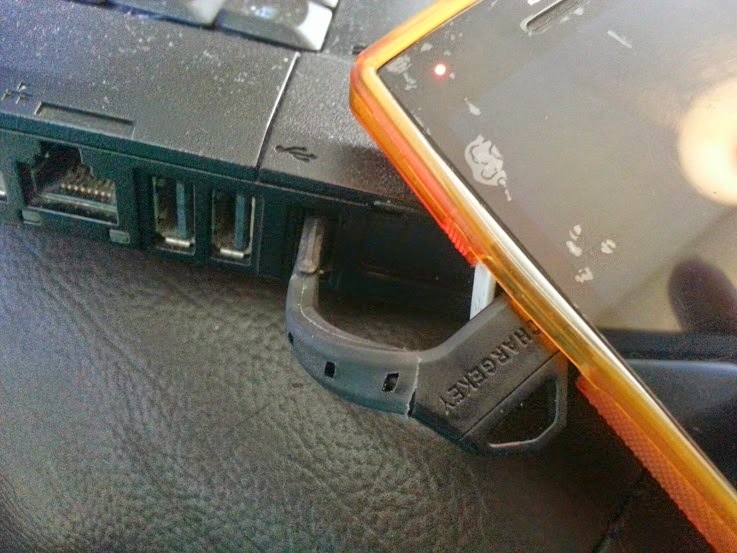 The good news is that the ChargeKey does fit even with my case, although the card doesn't, so my other half bagsied the card for his Sony phone. I have to say it's not the best thing ever for using your phone while it charges, it's quite hard to get it to an angle where you can see the screen comfortably without feeling as if you're going to put stress on the charger, but after a weeks use everything is still working just fine. If you have horizontal ports then you won't find the same issue as me with this old laptop. 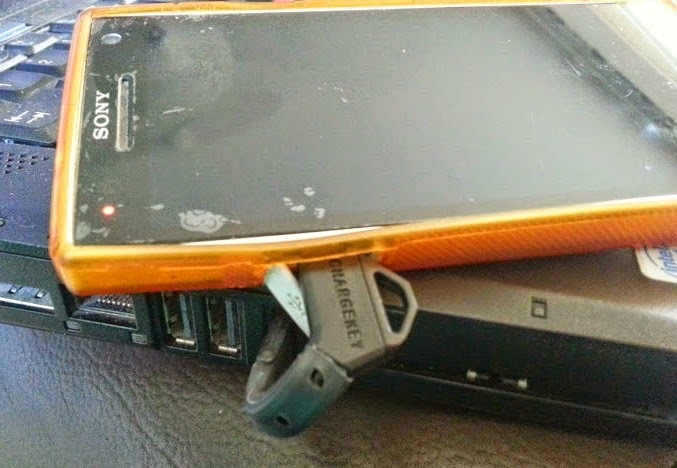 I've been using the ChargeKey all week to charge my Samsung, and actually used it far, far more than I expected, every day in fact, it's been incredibly useful. (I've used my partner's phone as an example in the photo's as I used mine for the camera!). Aside from the fact it is handy and will really come into it's own when I go away, it's very different to anything else we've got and I can keep it on my keyring, so it's always where I expect it to be and ready.It's probably ideal for my teenagers as they could also keep it attached to their belongings or person and might actually remember to bring it home rather than add to the collection of USB's and peripherals that they've left at school! NOMAD aim to make minimalist necessities for the modern NOMAD. When the ChargeCard was launched last year on Kickstarter it exceeeded the goal by 300%, and the ChargeKey was launched soon afterwards. 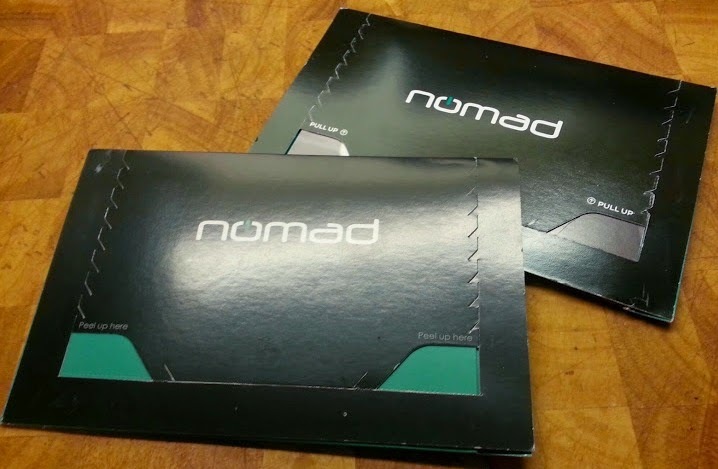 NOMAD have some great offers - they even have an affiliate programme, and if you can think of a great way to promote the NOMAD USB charging cables, you can win yourself a free one! This is the most expensive USB I've ever had and I've been harsh on it. It has travelled in my handbag with my keys and been bent and twisted and I'm still pleased with the performance. It hasn't as yet let me down, whereas I know that other USB cable's I've had would have stopped working a while ago. I think that the quality in this product justifies a higher price than a similar-looking item which wouldn't give you the same level of performance. 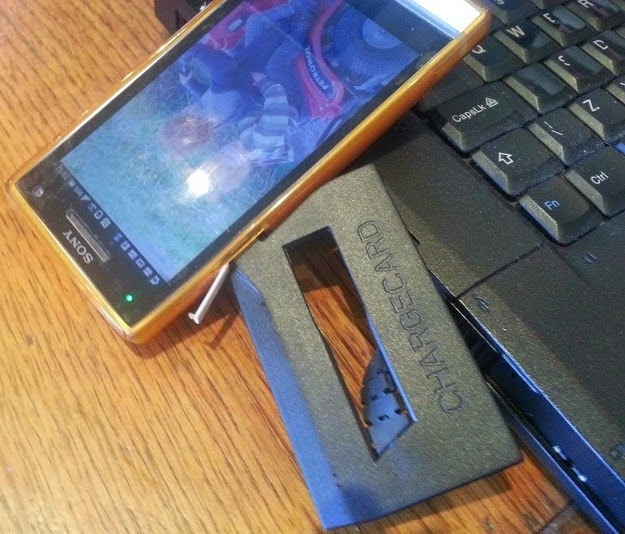 ChargeKey and ChargeCard are available for iPhone and MicroUSB. They have been officially launched on Amazon with next-day delivery. I was sent my ChargeKey and ChargeCard for review. I need one of these that is for sure. we also had one of those. very handy but yet not great to use it while charging! they are too short! These look really useful for sticking in your bag to take away with you. I think it really will come into it's own when I'm away or out for the day - so much more portable than a big cable.